According to research from Rackspace, 35 per cent of Australians are embracing wearable tech, with only 18 per cent the UK and US. The report included health and fitness monitors, smart glasses, watches and cameras, and there certainly are a whole bunch available around the world, including the Pebble, Sony Smartwatch 2, Qualcomm Toq and Samsung Galaxy Gear to the Nismo Watch, TomTom Runner, OMG Life Autographer and Google Glass. And while one in three of the Aussie respondents said that wearable tech helps them feel more in control of their lives, 22 per cent also oddly said that wearable tech also enhances their love lives – we're just not quite sure how. Or why. 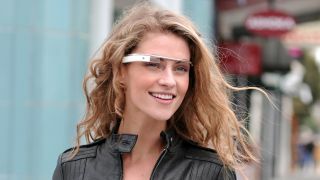 OMG Life Autographer and Google Glass, we're looking at you. These blips will fit on your wearable tech!